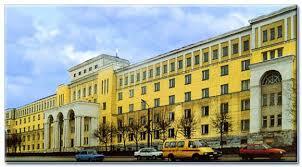 The Stavropol State Medical Academy was founded in 1938. Nowadays, after seven decades it is the largest educational, scientific and methodical centre of medicine in the North Caucasus. StSMA is awarded with the Cannes Silver Medal and the title "Flagman of XXI Century", the Gold Medal of International Biography Center as the most dynamically developing enterprise. Foreign experts are preparing here in General Medicine and Dentistry specialties. Nowadays about 600 foreign students from 28 countries of Asia, Africa and Latin America are trained in the Stavropol State Medical Academy. Beginning with 2005 the training is conducted in the English language too. During this period 1017 physicians, 139 clinical residents,17 postgraduate students have been prepared in the Academy. Persons having the higher medical education are eligible to study in the Post-Diploma Training Course (Clinical Internship -1 year, Residency - 2 years or more; Postgraduate Course - 3 - 4 years; Doctorate - 5 years). The persons with the higher medical education and who have completed the specialities at the Post-Diploma education level (Clinical Internship, Residency) are admitted to the cycles of professional retraining and improvement of professional skills. Foreign students studying in the academy live in the comfortable hostels. Under the guidance of curators there are excursions for students to the beautiful places of Stavropol, trips to Teberda, Dombay, Lago-Naki, cities-resorts of the Stavropol Region. Stavropol State Medical Academy (StSMA) was established in 1938, in the 237 years old city of Stavropol, Russia. It had become a fu lly licensed institution for higher education in health care studies, in 2010, with the receipt of State Accreditation Certificate. Internationally, the University has ranked among the “100 Best Higher Schools”. The college has the privilege to enroll, undergraduate and postgraduate students, from over 77 countries. The scrupulously planned syllabus, for undergraduate and postgraduate medical studies, is recognized by WHO (World Health Organization), MCI (Medical Council of India), USMLE (Unites States Medical Licensing Examination), HPCSA (Health Professions Council of South Africa), SCHS (Saudi Commission for Health Specialties), and PMDC (Pakistan Medical and Dental Council) etc. Admission to the undergraduate medical program is on the basis of first come first served structure. The course duration for the Bachelor’s Degree in Medicine and Surgery is for 6 years inclusive of one year’s internship period, in the university -affiliated hospitals. Learning Russian language can be advantageous to the students for better interaction with the patients. Even though the classes are conducted in English, Russian is the most widely spoken language, in the country. Hence, acquiring efficiency, in understanding and speaking the language, will be beneficial for international students. A mandatory Russian language course is conducted in the university for students pursuing MBBS in English. St SMA-affiliated hospitals, laboratories and scientific research centers include various high-end specialized instruments and scientific research and developmental facilities. The university imparts meticulously planned professional education with best of the infrastructures available across the globe. The course curriculum includes a detailed study and practical training program with concentration on research and scientific innovative developments. Basic facilities include state-of-the-art libraries, museums, auditoriums, computer laboratories, lecture halls, sports complex, sanatorium, cafeteria, and gymnasium, etc. One year mandatory internship must be done at any of the university-affiliated hospitals.